Once Upon A Time In Mumbai! Karan Arora’s high action thriller Bhindi Baazaar Inc. is now out on Junglee Home Video. 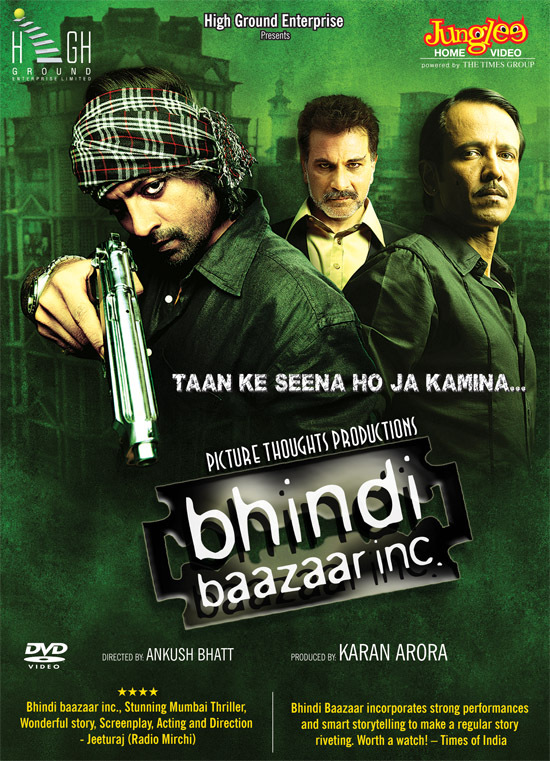 Directed by Ankush Bhatt and starring Kay Kay Menon, Prashant Narayanan & Piyush Mishra this film is set in the underbelly of Mumbai between the infamous bylanes of Bhindi Baazaar, where greed is a culture and deceit becomes a compulsion. Juxtaposed against a game of chess the story is about a small time gansgter’s rise to power through undying ambition & intelligence. The movie has action, drama, dirty politics, betrayal, crafty wit, gangster rules & even a sizzling hot item number by Jennifer Lopez’s little sister Caterina Lopez. Amongst all the biopics on the ugly side of Mumbai, Bhindi Baazaar Inc. is right up these with the best and is definitely the movie to watch this weekend.